Gadani ship-breaking industry .The golden past . 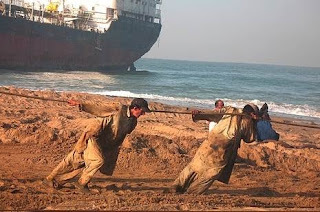 Homeship-breaking industryGadani ship-breaking industry .The golden past . That explains the closure of tens of steel re-rolling mills in Karachi during last many years. 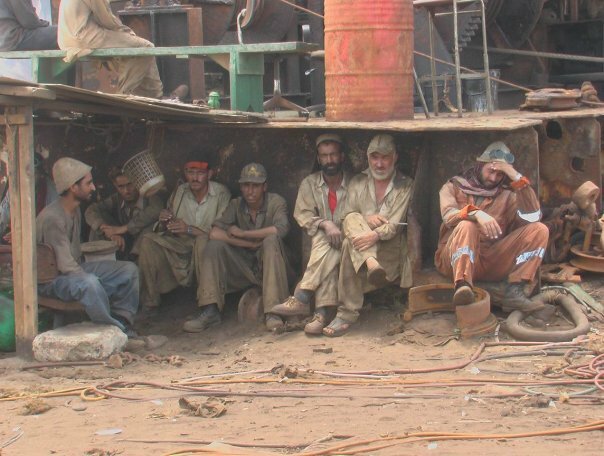 Concern people told that numerous small mills have been closed in Karachi over the years and some medium and big ones could have been closed if the demand had not been low, primarily due to slump in the construction industry. The non-availability of raw material, ship plate, has forced the existing re-rolling mills to switchover to iron billet from the Pakistan Steel. This shift on the part of the re-rolling mills is resulted in increase demand for the Pakistan Steel's billet, the price of which has registered a substantial increase . Today, India and Bangladesh has replace Pakistan as the ship-breaking giant which it once was. 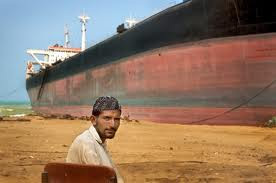 Tracking back the history of the Pakistani ship breaking industry one witnesses many ups and downs. The Industry was at its peak during the early 1980s and witnessed a slump in the late 1980s. 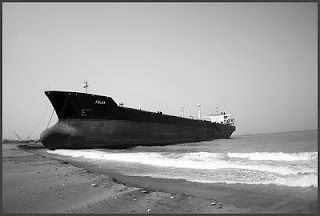 It was revived in the early 1990s due primarily to the slump in prices of ships for demolition in the international market.Even some activities were few year back .